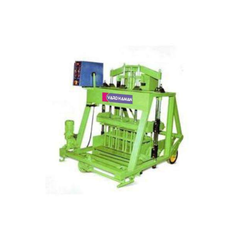 We manufacture concrete block making machines which are widely used and demanded in the construction industry. Concrete block making machines can easily create concrete blocks and are also robust in construciton and rugged in design. Designed keeping all the specific details in mind this machine makes concrete blocks in required sizes as per the need at the constructions.